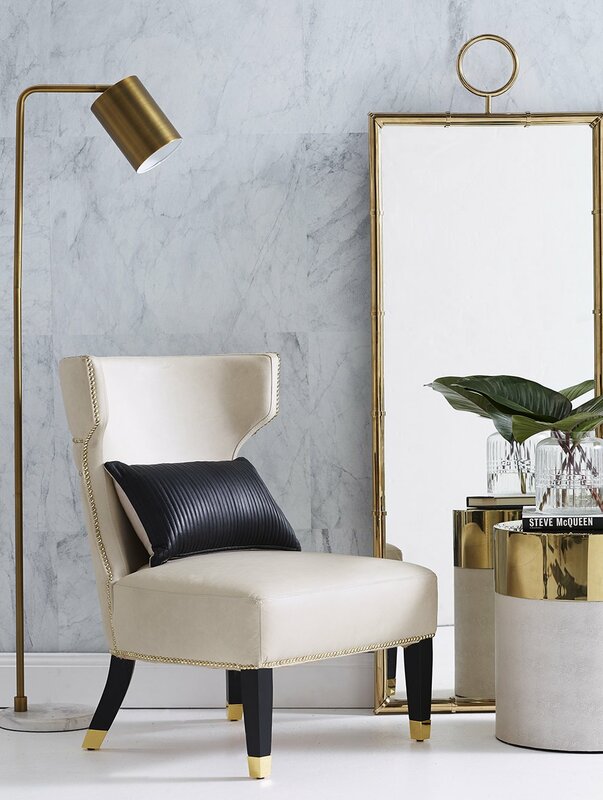 To create a Hollywood Glamour inspired sitting space in your home, all you have to do is incorporate wealthy and luxurious metallic gold elements to the space. A floor mirror can help open the space and make it appear larger than it is and a plant will add a more natural and personalised element to the space. It boasts of clean and modern colours and style with a rich and luxurious aesthetic.